This is a dangerous tornado day in parts of the South. 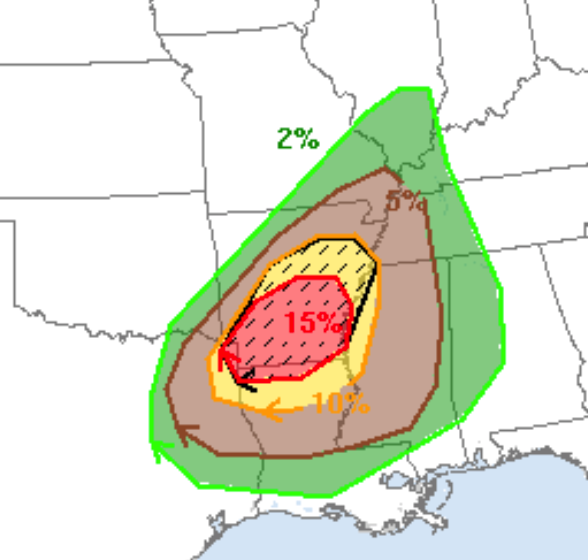 The significant risk is the 5% area (brown). The hatched area is where violent tornadoes are forecast. I urge people in these areas to keep an eye on the weather at the very first sign of the approach of thunderstorms.